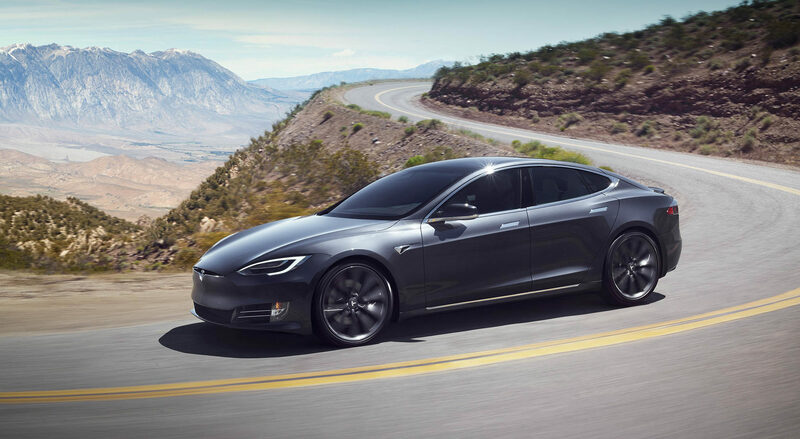 More than seven out of ten cars Tesla sold in 2017 were delivered to customers in United States, China and Norway. It certainly was not a coincidence that Tesla’s top three markets were in three different continents. Tesla earned their sales in these markets through hard work, setting up their stores and service centers, building their charging infrastructure from the scratch and so on. Out of the three countries, government policies were most favorable to Tesla in Norway. The Norwegian government’s decision to indirectly ban gasoline car sales by 2025 changed the equation in favor of electric car makers like Tesla. Tesla took full advantage of the favorable environment, increasing sales from less than 2000 cars in 2013 to 8,460 cars in 2017. Tesla more than doubled its sales in 2017 compared to the year before and they did that despite selling only Model S and X – cars priced above €65,000 in Europe. 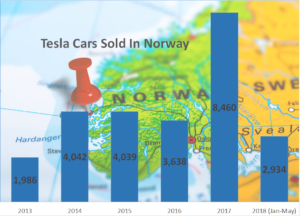 Tesla moved from 11th position in the Norwegian auto market in the first half of 2017 to the current seventh position. The entry of Model 3 would have easily catapulted Tesla into top five position in the country. A record that would have made all the automakers sit back and notice, if in case they weren’t noticing already. But unfortunately Tesla has not lived up to its own expectations in Norway. Complaints about long delays in service has been piling up in Norway and Tesla is yet to fix a problem that will only grow larger by the day if not addressed quickly. Tesla CEO Elon Musk noted that Norwegian government is yet to give the company permission to use its favorite mode for repairs, Mobile Servicing. But that doesn’t even sound like an excuse because Tesla has been selling cars in Norway for more than five years now. They knew the situation on the ground. May be Tesla didn’t expect 100% sales growth in 2017. But it has been six months since that happened and sales growth continued unabated in the first half of the current fiscal as well. Tesla was slow to react to its surging sales and they have no one else other than themselves to blame for it. Tesla has 11 service centers in Norway with more than 26,000 Teslas on the road, nearly half of that were sold in the last eighteen months. As Tesla set its own sales chart on fire, their service capacity got stretched to its limit. Model 3 would have blown things out of proportion and the lack of service capacity will be a huge hindrance to Model 3 sales in one of the most important markets for Tesla. The EV maker is facing the problem of plenty but that’s exactly what they were asking for isn’t it – To be the number one auto maker in the world, with a difference. No one asked Tesla to directly own its sales and service network. They did that because they wanted to be different. To keep their customer service as a differentiating factor. They took the risk because they thought its worth it. Though Tesla’s detractors have a long list of complaints about the company – strained finances, not being profitable, cash burn, safety record, auto pilot and what not. Those are issues blown out of proportion by anti-Tesla propaganda machine. But the lack of sufficient service capacity in markets outside united states is a cause for concern and a true problem for Tesla. Tesla needs to fix it and fix it fast. The Norwegian Public Roads Administration added that it explained the rules to Tesla and invited Tesla Norway to apply for permission to use mobile service vans on June 1 and they are yet to receive Tesla’s application.